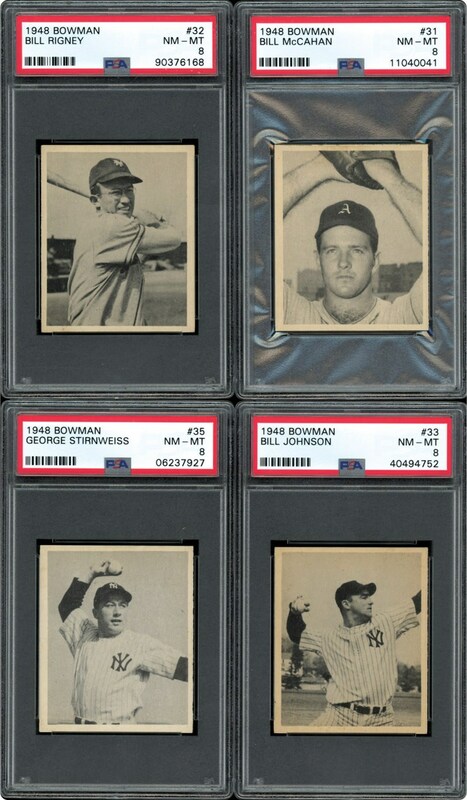 ALL 8'S!!! 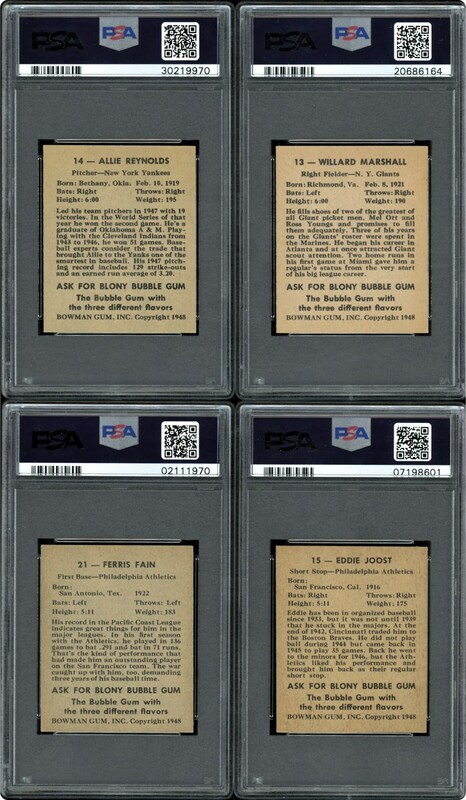 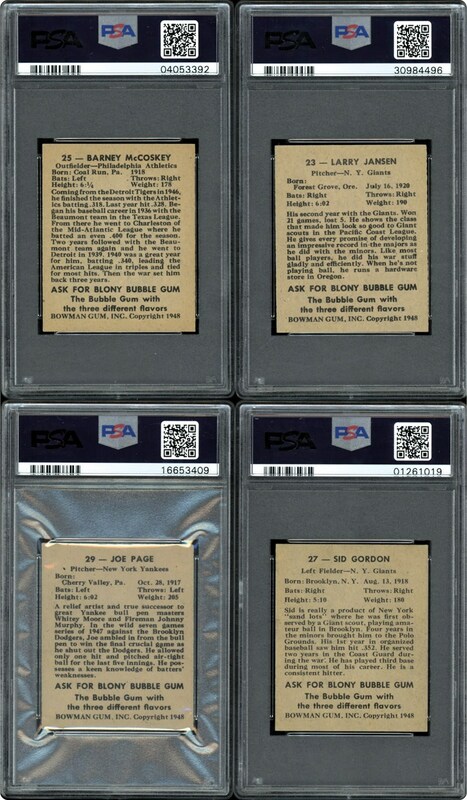 This group of 16 different PSA 8 NM-MT cards are all from the 1948 Bowman Baseball series. 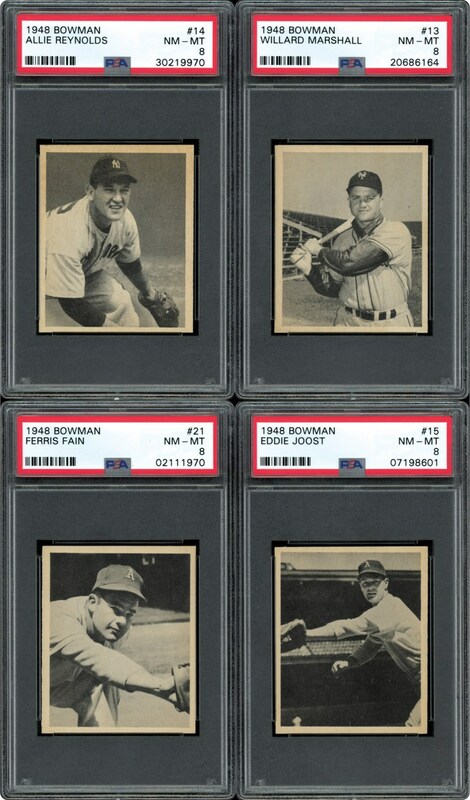 Part of this Auctions 1948 Bowman Baseball Set Break, this group of PSA 8's are as follows: #2 Blackwell RC, #9 Cooper, #10 Rosar, #11 Lindell, #13 Marshall, #14 Reynolds RC, #15 Joost, #221 Fain, #23 Jansen, #25 McCosky, #27 Gordon, #29 Page, #31 McCahan, #32 Rigney, #33 Johnson & #35 Stirnweiss RC. 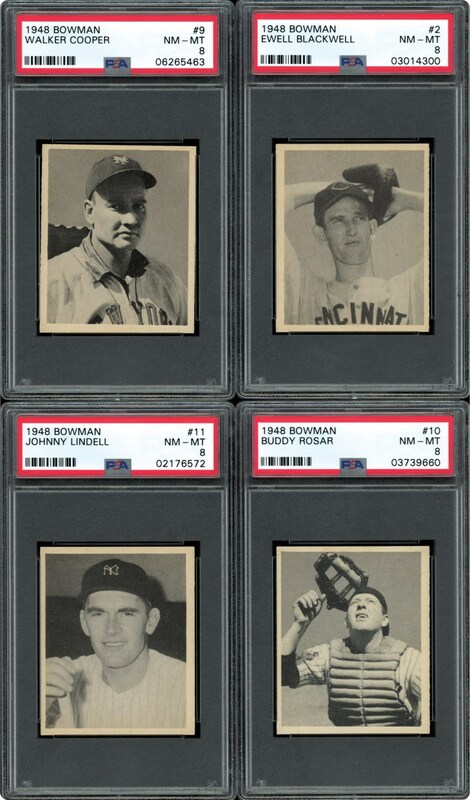 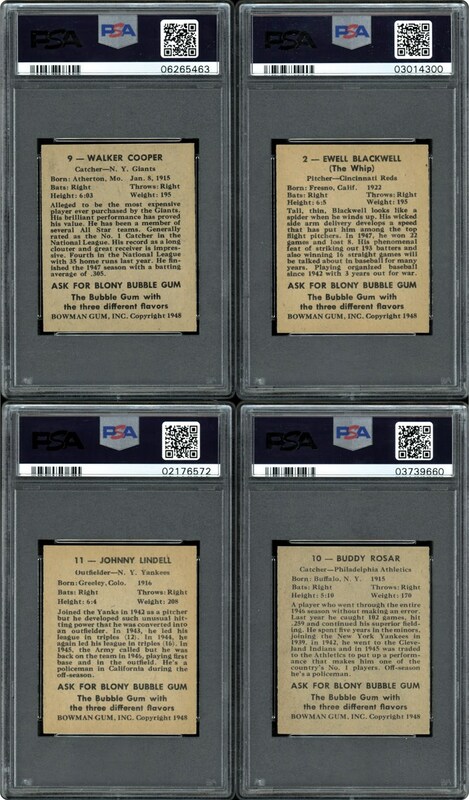 Overall a strong group of 16 different 1948 Bowman Baseball cards all PSA 8's. 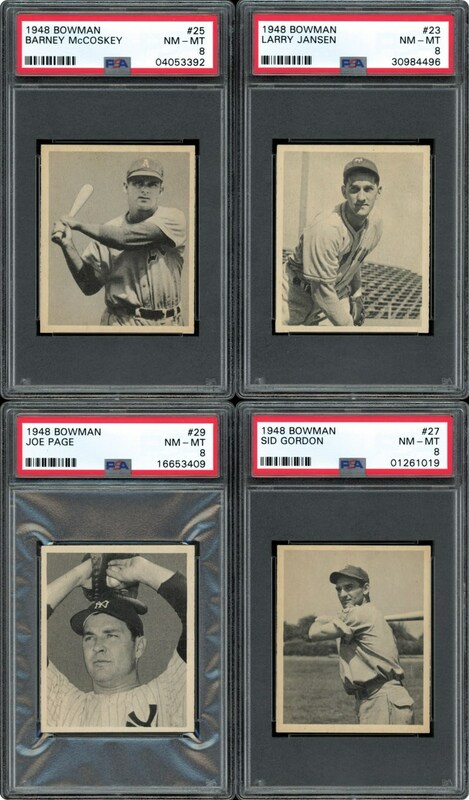 That's 33% of the entire set!!! 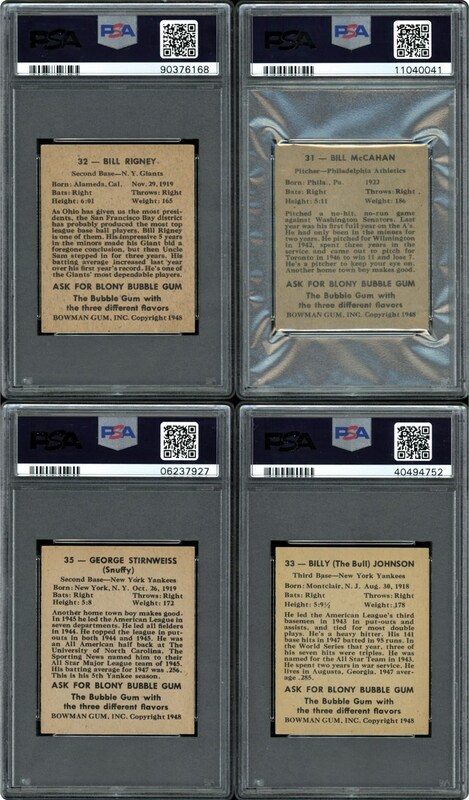 SMR value of over $1,715.